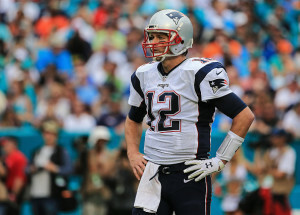 Can Tom Brady and the Patriots make the AFC Championship Game for the 8th straight year? The Divisional rounds are this weekend so it’s time to start looking at possible AFC & NFC Championships matchups and all of the historical data that comes with it. Odds are out at the top betting site BetOnline as well as SuperBook and many others. At this point shortly before the Divisional Round plays out, the Kansas City Chiefs lead the pack at +160 to win the AFC. Not surprisingly, the New England Patriots are second at +200. The Los Angeles Chargers and Indianapolis Colts are +450 and +500 respectively. Let’s look at the last four years of NFL Conference Championships and see if we can’t find anything that will point us in the right direction as far as predicting this season’s outcomes. Ok. we all remember the amazing Jaguars defense that miraculously got Blake Bortles and a less than stellar Jacksonville offense all the way to the AFC Championship Game. Amazingly enough, Bortles passed for 293 yards and a TD without an interception, but it still wasn’t enough. Brady threw two TDs and the Patriots won 24-20 and went on to the Super Bowl.